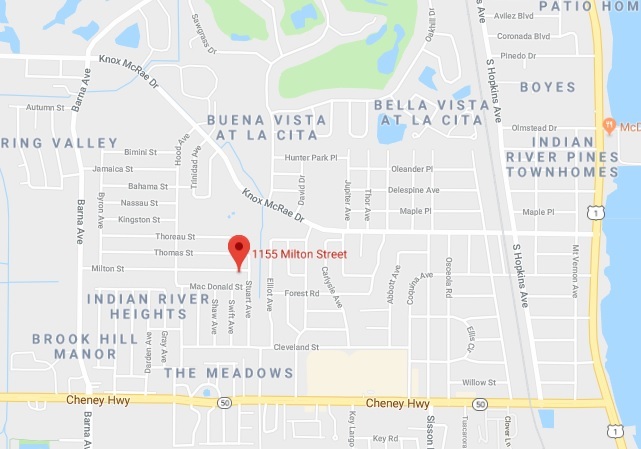 TITUSVILLE, Florida - Two men were shot during a dispute between several people late Friday night at 1155 Milton Street in Titusville, Florida. One of the men was pronounced deceased at a local hospital and the second man was airlifted to a trauma center. According to Titusville police, officers responded to a report of a shooting at 1155 Milton Street where they found a gunshot victim in the driveway just before 11 p.m. Officers attempted to save the victim by performing CPR until fire rescue crews arrived, but the victim was pronounced deceased later at the hospital. The second gunshot victim, believed to be related to the shooting on Milton Street, arrived at the hospital a short time later. He was transported to a trauma center by a medical helicopter for life-threatening injuries. Police say that the preliminary investigation reveals what appears to have been a dispute between several people that are known to each other. Investigators are working on leads and are encouraging anyone with information to contact police. Callers with information leading to an arrest in this case may remain anonymous and be eligible for a reward of up to $5000.00 by calling CRIMELINE at 800-423-TIPS. The names of the victims are being withheld pending notifications to family members.